When it comes to choosing a destination to visit, the hotel is quite important to me. 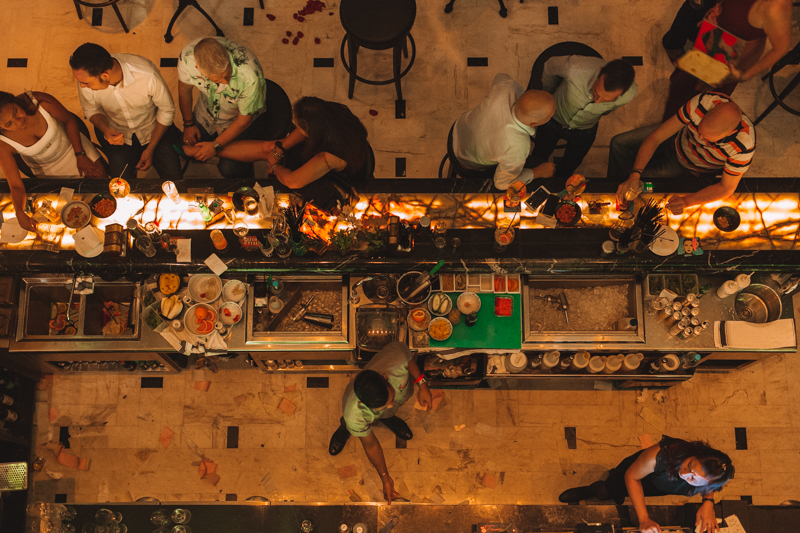 Not the be all and end all, as I’m definitely not someone who stays in the hotel all trip and never leaves, but I do want somewhere where I can relax, have some peace and yes, sometimes where I can have a good drink at the end of the day. When in Doha, the Shangri-La ticked those boxes for me. 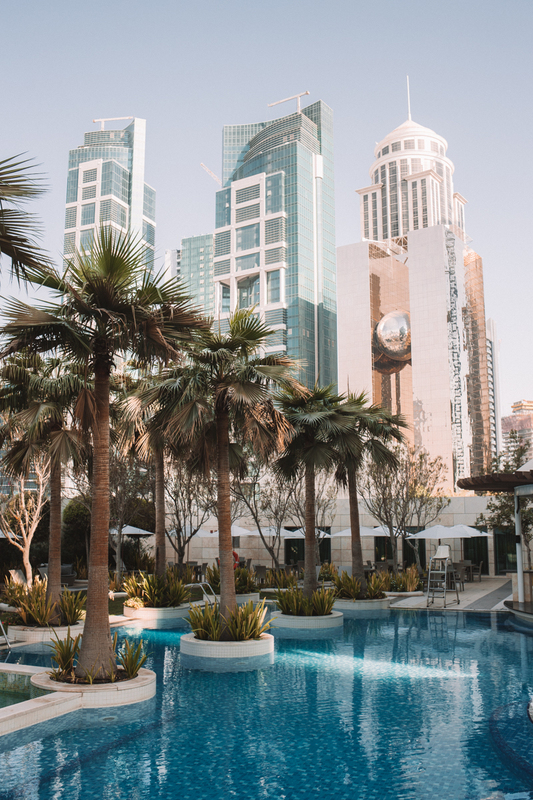 The Shangri-La brand is synonymous with luxury, although you’d be hard pressed to find a hotel in Doha that wasn’t luxury, seeing as it’s one of the richest nations in the world. 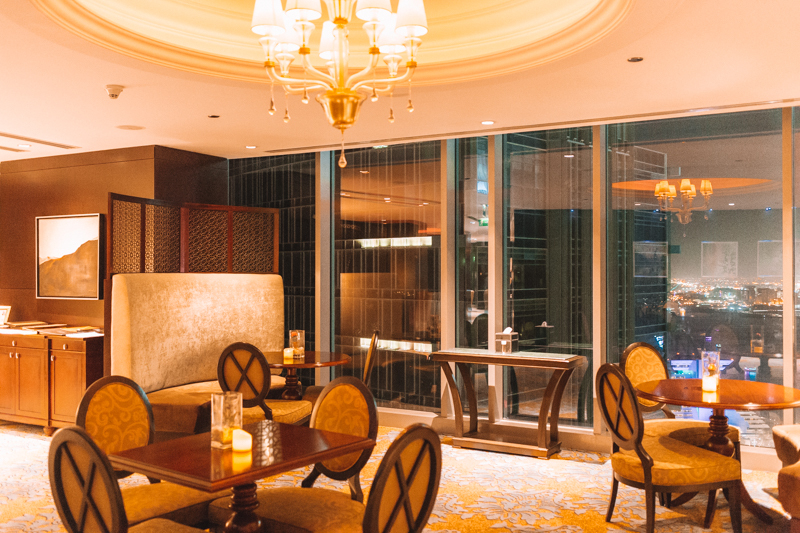 The Shangri-La Doha is located in the heart of the city's new commercial centre and directly attached to the City Mall. From the outside it doesn’t have the same wow factor as the Shangri-La London which is located in The Shard, although few would expect it to. However immediately inside is where the wow factor lies. The huge lobby is a very impressive design. 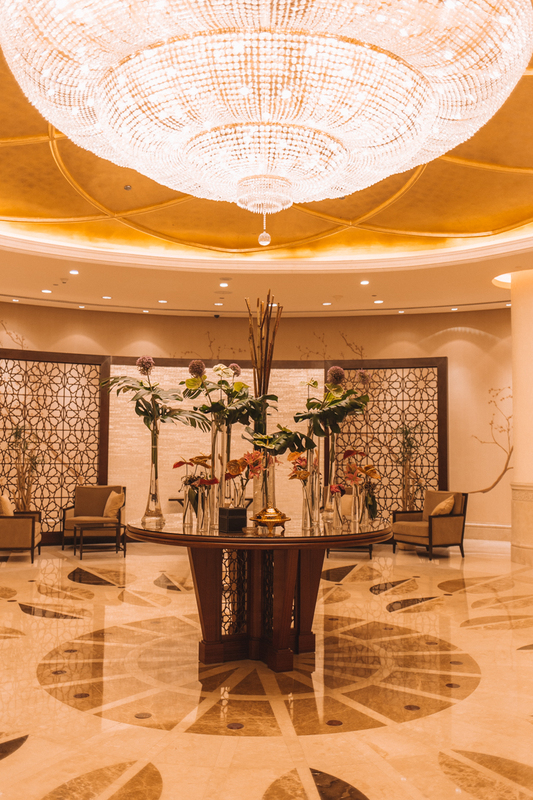 In the centre is a grand chandelier and floral display, with the sweeping reception desk behind it. 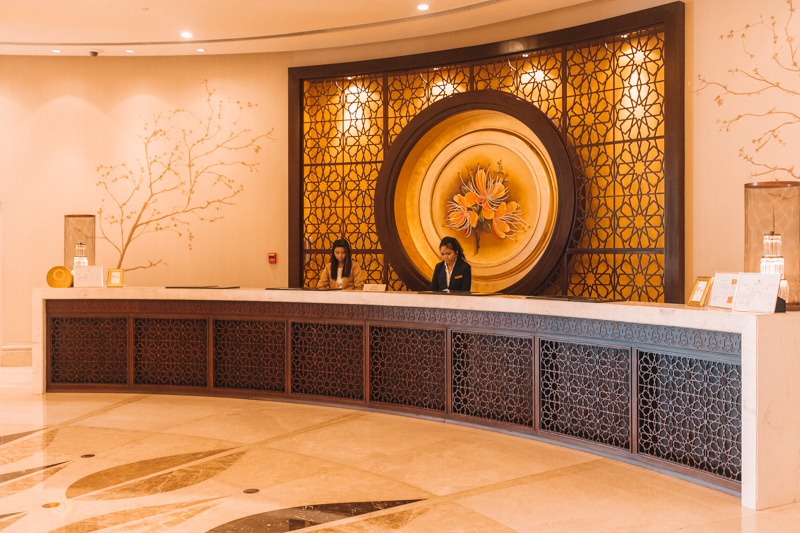 The design and style of the hotel is a mix between the brands Asian heritage (Hong Kong based but the first hotel was in Singapore) and luxury Middle Eastern influences, which works very well together. 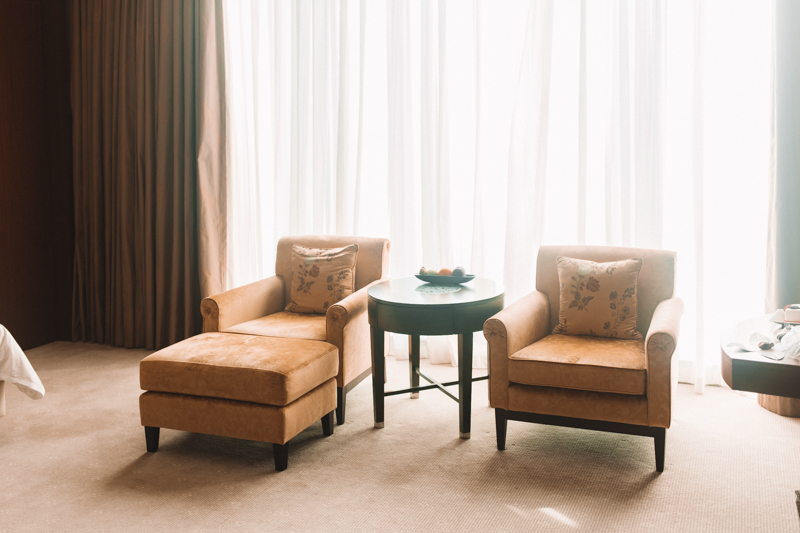 Throughout the hotel, the polished floors are squeaky clean, the mahogany wood perfectly polished and gleams of gold catch the light through the many floor to ceiling windows. When it comes to keeping up appearances, not a hair is out of place. The hotel has a total of 272 bedrooms including 38 suites and 60 Horizon Club rooms, which is one of the ones I stayed in. The Horizon Club is as the name suggests, the hotels private club, and as someone staying in one of those rooms, you get access to the Horizon Club lounge, which includes complimentary breakfast, evening cocktails, and other amenities which I’ll explain later. 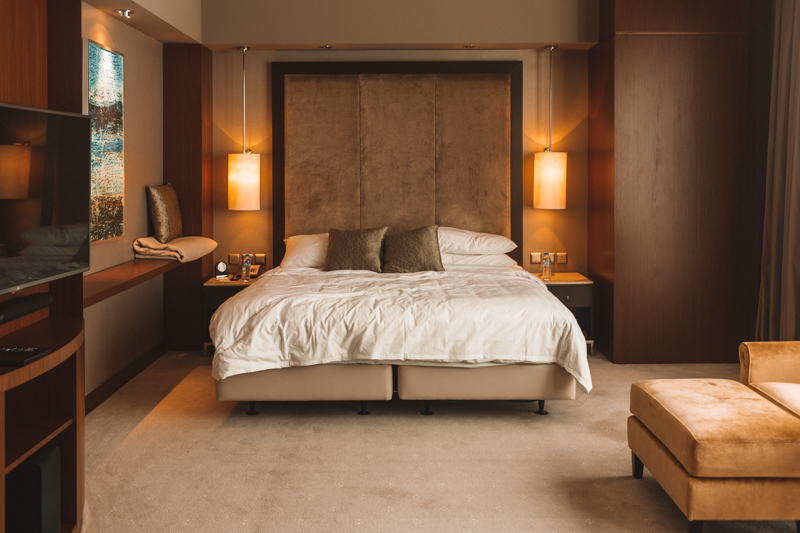 The Deluxe bedroom is a very decent size, complete with executive desk and two arm chairs, plus more than enough floor space to pad around. Whilst the decor is all to the highest standard, it does have a more business feel to it, which didn't actually surprise me seeing as its located in the new commercial centre. 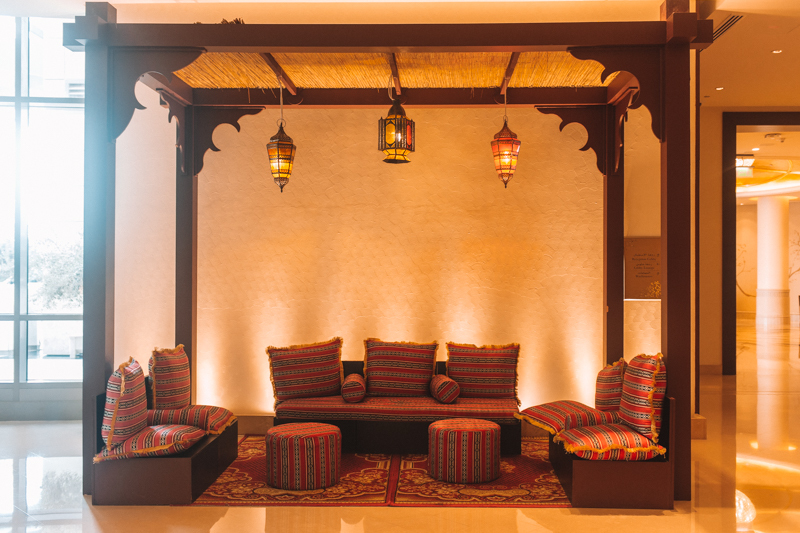 However the little touches are what really make the Shangri-La Doha stand out here. On arrival there was a cake waiting for me, which was iced with a camera. Apparently the social media team try and “find guests” on social media before hand to get a sense of their likes, so they can personalise the experience. Then upon entering the bathroom, there was a full size La Prairie toiletry bag and products which was easily worth a few hundred pounds. 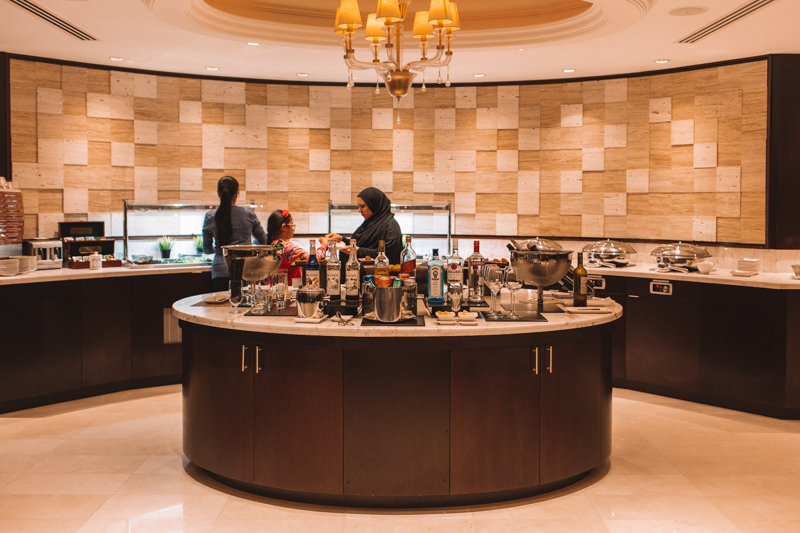 Horizon Club guests also get their own check in and out, a dedicated gym, complimentary dry cleaning once per day and daily fruit and newspapers in the room. 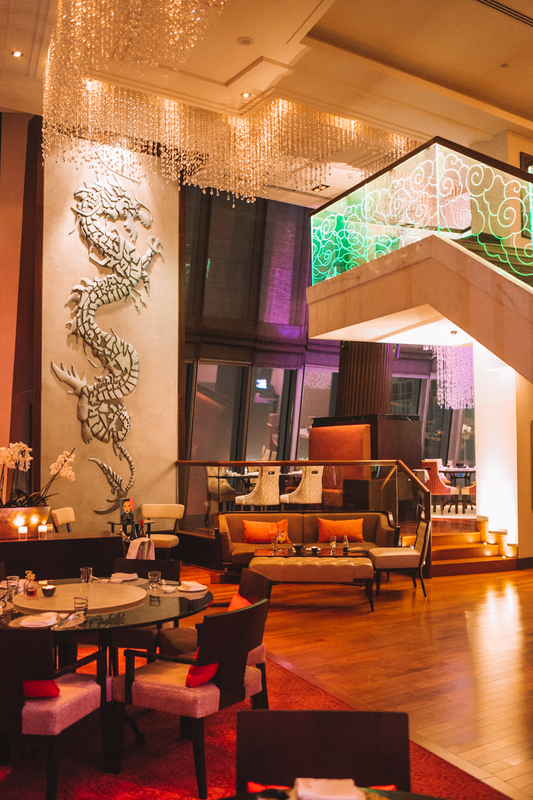 Located on level 43 and 44, Shanghai Club offers both visual and taste thrills. 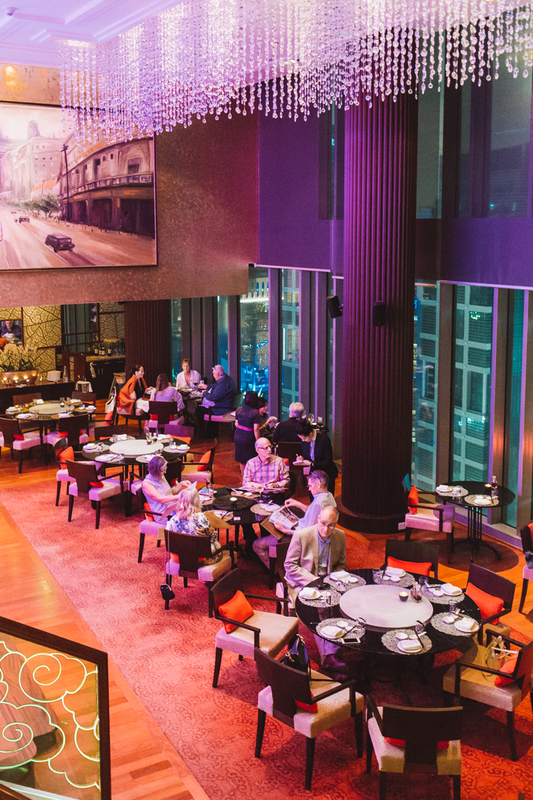 It’s an impressive restaurant, with level 44 only a mezzanine, this gives way to mesmerising chandeliers and art work, a floor tall. 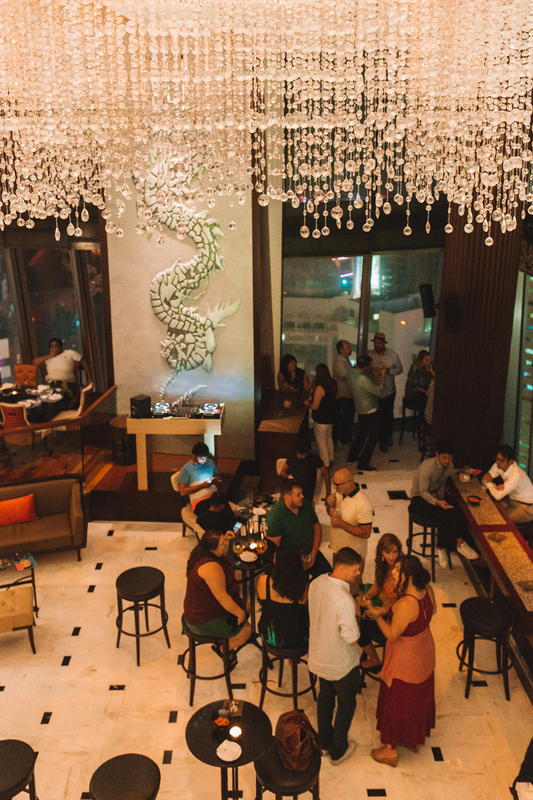 It has the vibe of a Manhattan bar, with the upstairs bar heaving with 30 to 40 something year old well dressed men and women. It's the style of place Carrie Bradshaw would be proud to be seen in. 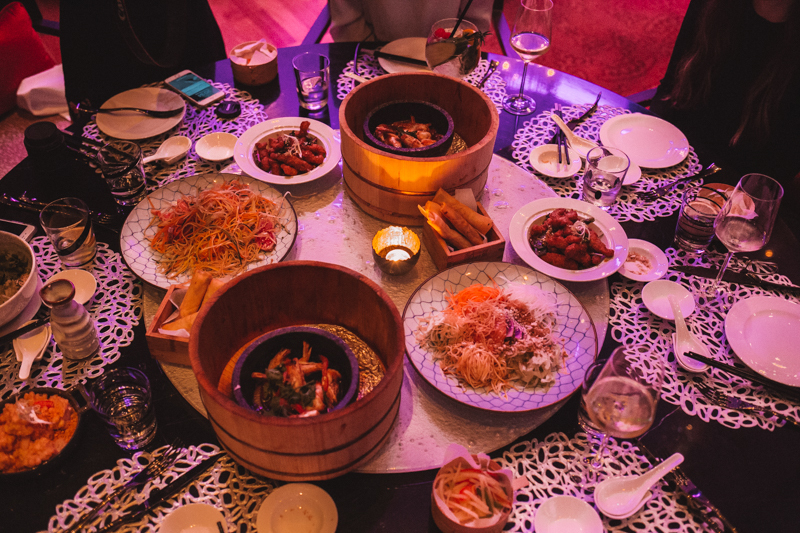 The food is Cantonese with a slight fusion twist. I always say to my friends that I’ve never been to a high end Chinese restaurant. Well that statements ends here. The food is incredible. I really was blown away and don’t say incredible lightly. 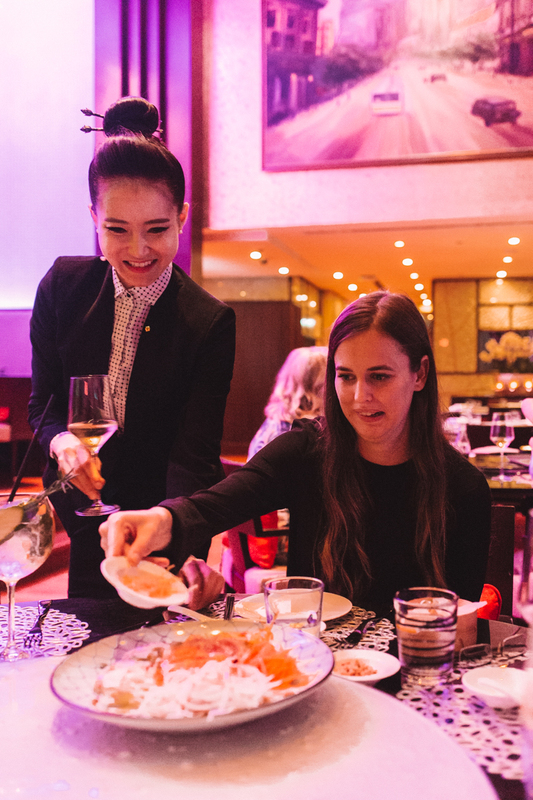 Theres an element of theatre to it, as we were all made to add ingredients into the first dish- something of a good luck charm in Cantonese- and we spun it from person to person mixing it as we go. What followed this was a true feast. Dim Sum, fried meats, noodles oozing with spicy sauce and the surprising winner of the night for me, little pork pastry “Handbags” which were just the most flavoursome thing I could have imagined. But something I also relished was the hospitality. Our waitress (I feel terrible as I didn’t take a note of her name) was just perfect. Sweet, knowledgable, and charming. It's a funny thing swimming and sunbathing in what appears to be a tropical location, only to peer up and see that you are surrounded by skyscrapers. The juxtaposition is rather startling. With the low walls and medium size pool it actually feels more like a private pool than a giant hotels one which is nice touch. There is plenty of seating and if you need a drink, towels or really anything, there is always someone on hand to help. The hotels possible best feature though is it's staff and their attitude. No request was too small or too odd. Wanted to change a reservation last minute? Not a problem. Could the main clean my room mid day so I could take photos for this post? Of course. The hospitality really does make the hotel stand out from the competition in Doha, along with its modern decor which some other hotels which I popped into for lunch slightly lacked on. It's a big hotel, but it feels small enough to still matter. 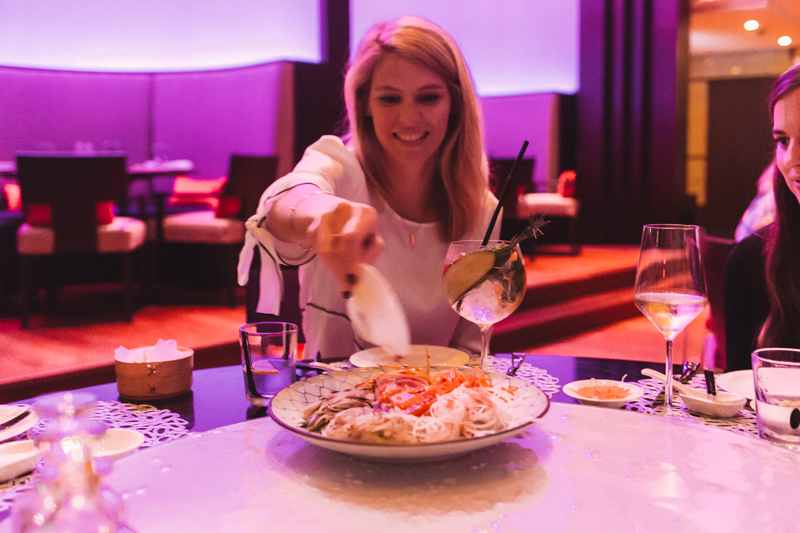 As I explained in my Doha weekend blog post, the city and Qatar as a country blew away my expectations, so if you are looking for somewhere not quite on the popular hotspot list yet, I'd really recommend heading here before it becomes the next big destination, which is not if, but when.